Today, we meet Mrs. Elmer! Mrs. Elmer has taught at the Kindergarten level since 2003. She grew up in Shelton, Wa and loves to be with her family; her husband, Jamen, and two daughters, Maddison and Ashlyn. She enjoys reading and exercising in her spare time! On teaching Kindergarten, she says, "I LOVE teaching Kindergarten! It is such a wonderful feeling to inspire a child to love learning. In Kindergarten, it is the first introduction to a large school setting where they learn to read and write. It is such a wonderful time when a student learns to read their first book, and then to watch them progress through the year!" She believes the most important thing parents can do to help their kids prepare for Kindergarten is to read stories together daily, introduce them to coloring, helping them learn to write their names, and practice using scissors. She also suggests practicing activities that will strengthen their fine motor skills. 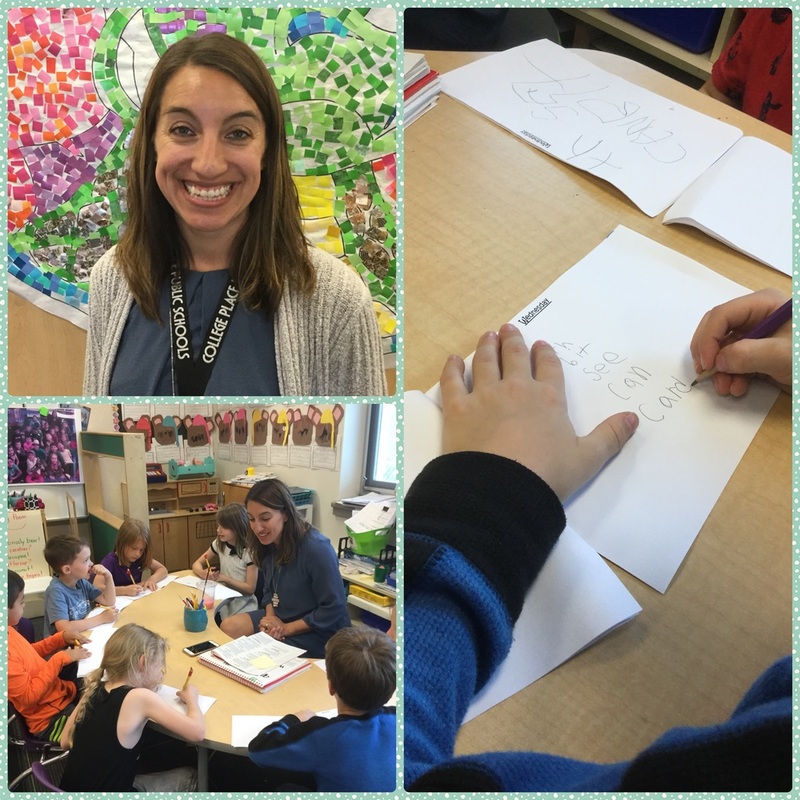 In this picture, Mrs. Elmer works with her class on a listening and writing activity.